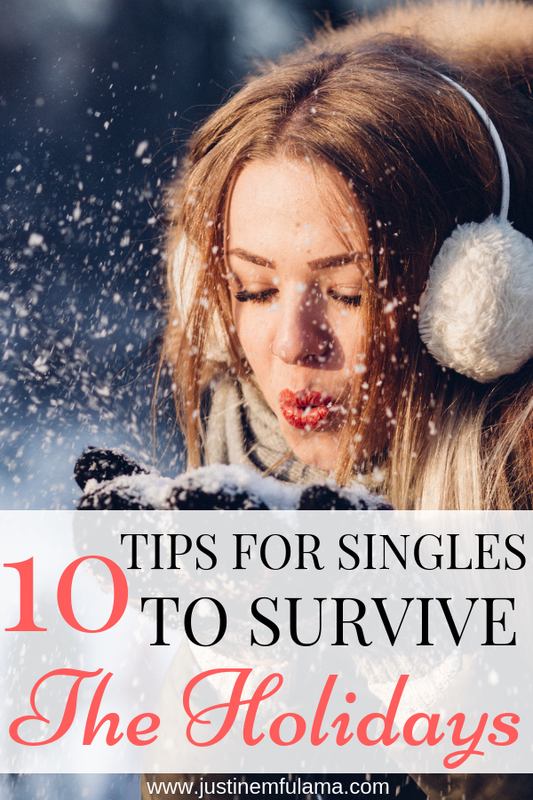 The holidays are around the corner, and with all the gifts and food comes the reminder that you are still single. While Valentine’s Day is still worse, the holidays definitely have a talent for rubbing that fact in. While you might not be able to do anything against the stupid jokes and rude comments of older family members, you can definitely make the best out of the season as a whole. And show love this holiday season. Avoid cuffing season and instead, make use of these 10 tips on how to survive the holidays as a single woman. Use this time of the year to visit family and friends. Create a holiday schedule and contact your immediate as well as distant family and ask them for their holiday plans. Make it a point to bond with family members and friends that you neglected this past year. Catch up with them over hot chocolate at a cozy coffee shop or a soul food lunch after church. Overcome the loneliness by choosing to have company as often as possible. Just make sure to bring a lot of humor and patience for your older family members. Because they will definitely ask you why you are still Single. Eek, this is my favorite tip on how to survive the holidays as a single woman. Call your girlfriends and spend a cozy night in watching your favorite Christmas movies while having mullet wine. It’s a surefire way to get in the holiday spirit and spend some quality time with your besties. As always this one tip can’t be missing. With Thanksgiving as the perfect start to the holidays, we are reminded to be thankful for all that God provided. So why not start the holidays by journaling all the things we have been blessed with over the last 11 months. You will see that this activity will put the holidays in a totally different light. And believe it or not even the things that God did not bring into your life yet, are a blessing. If we are already thanking God for all that he did this year, why not prepare our hearts for all the great things that he is still going to do in our lives. Brainstorm an area you traditionally struggle with during the holidays and study that in the bible. An area such as trusting God is usually a good point to start. And as a Single Woman, a devotional on loneliness definitely helps. One thing that has thrown me off these past few weeks is the fact that it has gotten pretty cold in Atlanta. While I am blessed enough to only deal with the cold when I want to, there are other people that are less fortunate. According to a study, an average of 2 homeless people per week dies in winter all over the US. All these people usually need is warmer clothes, blankets or a hot drink/ meal. Thankfully there are organizations that already provide these things. So why not get involved and help out. Research your local shelter, non-profits or simply ask a homeless person the next time you are out how you can help. Because for other people surviving the holiday season means life or death. Nowadays holiday parties have become a must. From ugly sweater Christmas parties to Friendsgiving dinners. Get creative and invite a diverse group of friends over for a night of food, games, and music. Use the opportunity to introduce new and old friends to each other, or simply have a good laugh. And once you throw your own holiday party why not go to one, two or three more. It’s the best way to enjoy your Single Season during the holidays and maybe even meet your next love interest. After all, it’s easier than online dating. While this one sounds pretty easy, I speak from experience when I tell you that it’s not. But it’s necessary. With all the good food and lazy nights approaching, going to the gym becomes even more important. Beat the winter blues by powering up at your local gym or through mid-day runs through the park. Luckily, I was born in a country that doesn’t play when it comes to Christmas. In Germany, we have Christmas markets. Markets, that are specifically for Christmas shopping and eating. They are decorated with beautiful lights, lots of Christmas trees and offer all the yummy Christmas food. But even if you are not born in Germany, consider roaming the city to watch the lights. Shopping malls, parks, and private homes will feature beautiful Christmas decorations that are worth visiting. Take an afternoon off to enjoy the magic of the holiday season. The last one is not so much a tip to enjoy the holidays but more so a preventative action. The holidays have two effects on a single woman. They create a desire to eat like nobody’s business and awake a feeling of loneliness. I say give in to number one, because what are the holidays without a cheat meal or ten. But don’t give in to the second one. I know it can be hard to overcome loneliness but reaching back out to your ex is never a good idea. Instead, delete his number (for real this time) and block him on all your social media platforms. The less you know what he is up to, the less you will be inclined to reach out. Remember that this is the season in which we honor our lord and savior Jesus Christ. 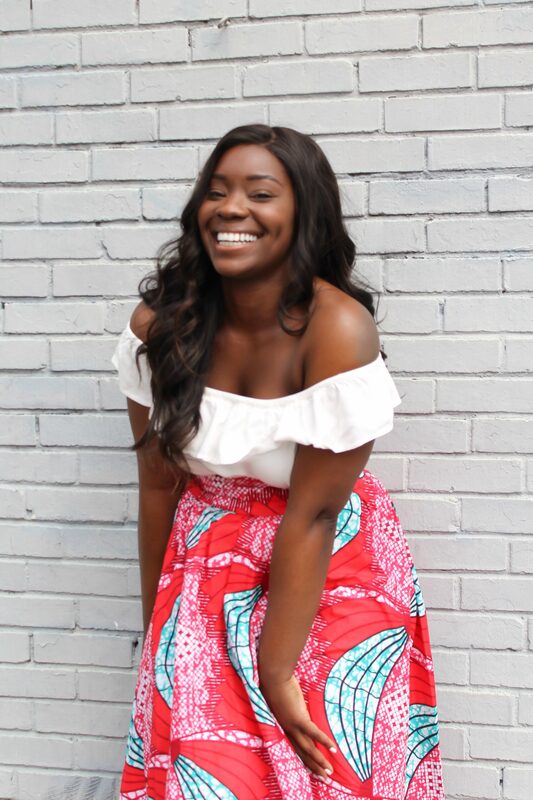 As much fun and practical as these 10 tips on how to survive the holidays as a Single Woman are, you should make room for God first. Make it a point to spend more time with him during the holidays, so that you are filled up for all the fun events and activities planned. 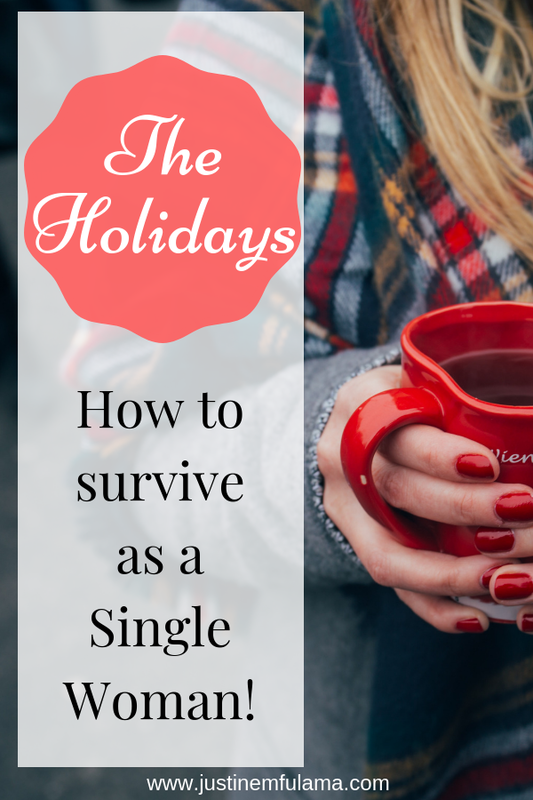 Do you have other tips on how to survive the holidays as a single woman? Share BELOW! I love your blogs they are inspiring and I see things in a much different light Im about to be LATE FOR WORK enjoying these messages but I thank God I seen this when I did. Thank you Ebony! I’m glad you are open to God’s idea of singleness. Once you learn to appreciate the wait, it becomes much easier.